What’s the difference between a levelled and non-levelled English exam? 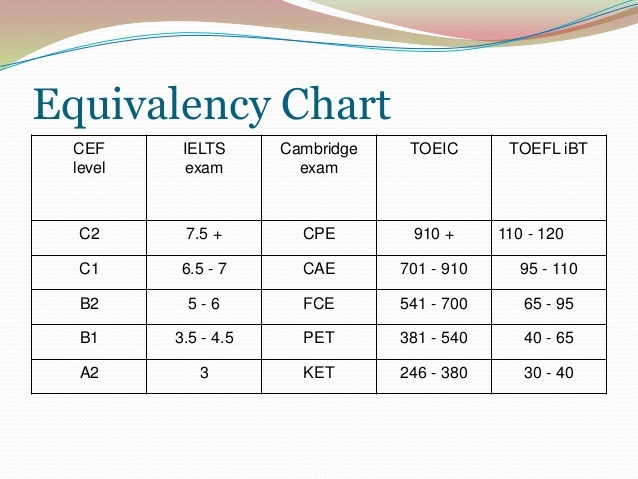 International English Exams like TOEFL, IELTS, Cambridge First (FCE) come in many different formats, types and levels. If you are confused about which International English Exam to take, please read our Homelingua blog post TOEFL, IELTS OR Cambridge English Exams for more information and advice. Today we are going to look at the difference between levelled and non-levelled International English Exams. A non-levelled English exam means it is the same exam and questions for all students. So if you are Elementary level or Advanced level, you take the same exam and answer the same questions. Exams like TOEFL iBT and IELTS are non-levelled exams, all students regardless of their level of English take the same test. 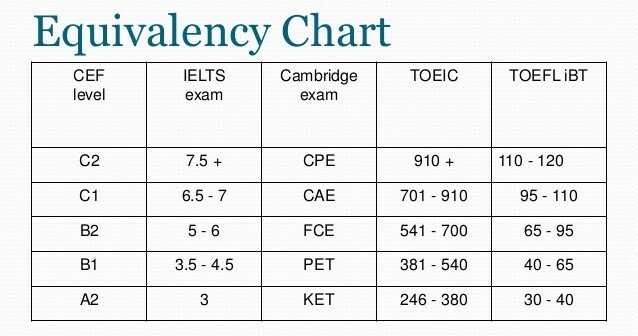 The difference is in the score, so a B1 intermediate level student should score approximately 3.5-5.0 in IELTS or around 50-65 in TOEFL iBT. This is an example of a comparison chart, there are many versions of these on the internet and they provide an approximate guide. Each student is different so the conversion is not 100% accurate. To stay up-to-date with the latest study news and tips, don’t forget to subscribe to our newsletter. A levelled English exam means the exam and questions are designed for a student at a particular level. 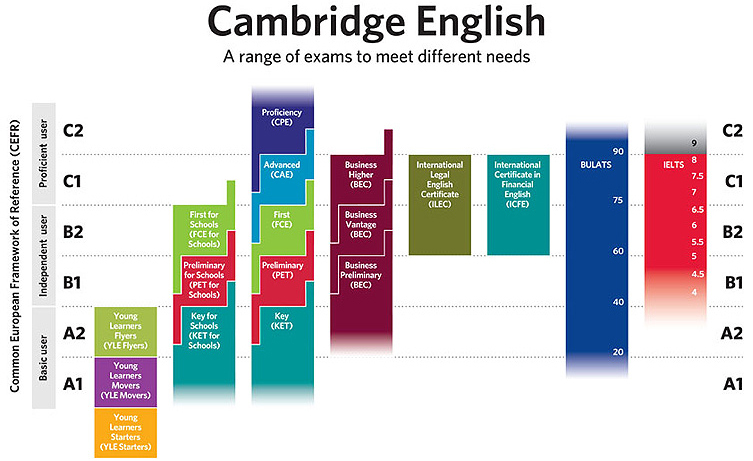 For example the Cambridge First (FCE) is designed for students that are B2 Upper-Intermediate. If you are A2 Elementary, you should take the Cambridge KET exam. When choosing a levelled English exam, it is important, you know what your level of English is, so that you take the correct test. Still confused? Why not contact Bucksmore Homelingua for a free study and exam consultation. Our experienced Course Consultants can advise you on what exam to take and how to prepare for it. We have a full range of exam preparation courses for adults and junior students, including IELTS, TOEFL iBT and Cambridge exams.